Chou Chou! 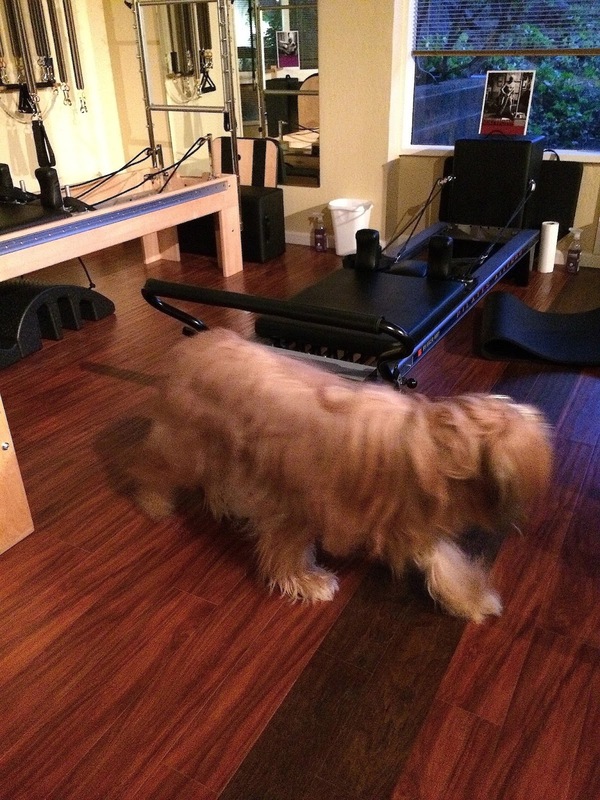 Adventures of a Briard Girl : Chou Chou Does Pilates? My Pilates teacher sold her business and moved away, so my friends and I had to find new classes. We chose a studio, not too far away, that meets Monday evenings; our other class used to be on Wednesdays. That's how Chou Chou wound up in Pilates class. I put Chou in the car to go visit my mom. Almost there, I realized it was Monday evening -- my new Pilates night. The class had started without me, but I decided to go anyway, and turned the car around. There was no time to bring Chou Chou home if I wanted to get to the remainder of the class; she came with me. Walking in half an hour late to a 60 minutes class, with a large puppy, was a grand entrance. Our teacher said, "Just leave her loose; she won't bother anything." 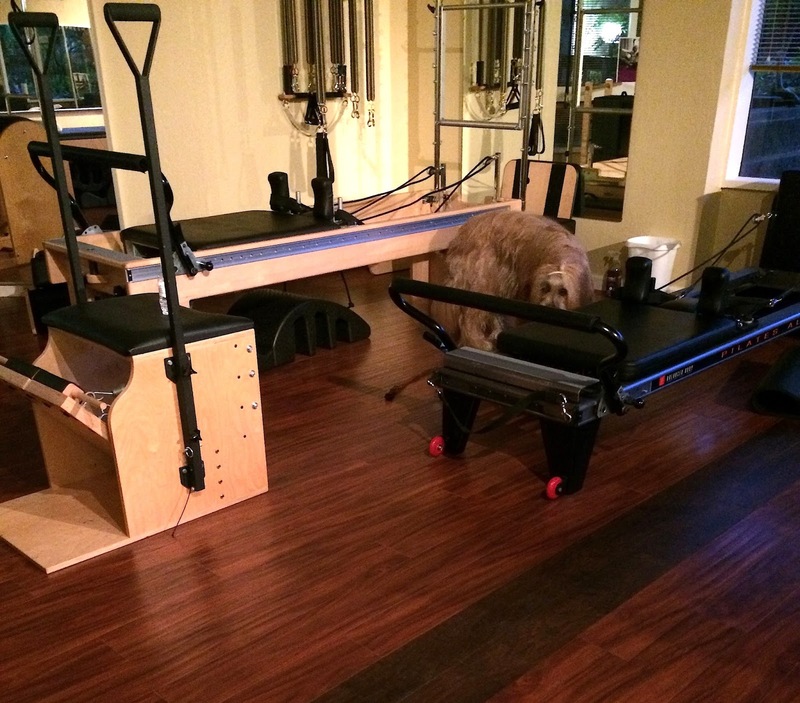 I dropped the leash and Chou Chou immediately went to my friend, lying down on the Reformer, and licked her face. So never mind "leave her loose." I tied the leash to a bar on the other side of the room ("What did I do wrong?") and I began my exercises. Chou was good. She whimpered a little ("I wanted to be closer to you! "), but then she sat down and watched us quietly. At the end of the class, I untied her and let her explore. She raced around the studio, leaving me with blurry pictures.